The newly available MTA8328-1U is an ideal solution for broadband service providers looking to deploy large scale telephony services to their customers. 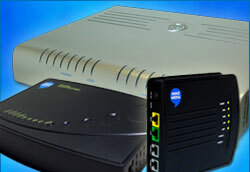 It is highly interoperable and can be used with SIP-based Softswitches or IMS servers. For remote provisioning, monitoring and testing, the MTA8328-1U supports the HTTP, SNMP, TFTP, FTP, and Telnet protocols. It can also be remotely accessed and managed using InnoMedia’s Element Management System (EMS). The MTA8328-1U family comes with advanced features such as T.38 for reliable fax, wideband codec for superior voice, user friendly voice prompts for IP address, Internet cable connection status, Internet service status and device registration status. Its EMS support for remote monitoring and management greatly simplifies service providers’ support efforts, thus, reducing their support costs. The MTA8328-1U further comes with GR909 line diagnostic features detecting presence of foreign voltages (PSTN power feed or power crossing), receiver off-hook, REN violation, and tip-ring short. The line diagnostic features together with the optional GR1089 intra-building lightning protection included in the MTA8328-1U allows it to support house wiring installation, thus, enabling service providers to offer seamless PSTN replacement to their customers. The MTA8328-1U utilizes a USB port for its WAN connectivity. 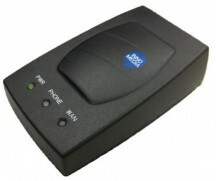 This allows the MTA8328-1U to be connected via a PC’s USB port, the USB port of a router, cable modem, or other network connection device to obtain its IP address and to access to the Internet. The MTA8328-1U also derives its power from the USB port without requiring a separate power supply, making it an ideal add-on device for service providers offering voice services to those after-market cable modem (or DSL) customers. Offers service providers seamless PSTN replacement with optional GR1089 intra-building lightning protection and GR909 line diagnostic tests that detect foreign voltage, receiver off-hook, REN violation, and tip-ring short. USB WAN connectivity and power supply, ideal for service providers offering after-market voice services to existing cable modem or DSL customers.